After a drug bust goes wrong, Atlanta police detective Tom Sharky (Burt Reynolds, who also directed) is transferred from narcotics to the vice squad, the least desirable assignment in the Atlanta police department. Despite all of his honors and commendations, Sharky finds himself reduced to busting hookers with Papa (Brian Keith) and Arch (Bernie Casey). But then Sharky discovers evidence of a prostitution ring being run by Victor D’Anton (Vittorio Gassman), one that services the wealthiest and most powerful men in Georgia. Working with Papa, Arch, and a burned-out bugging expert named Nosh (Richard Libertini), Sharky begins a surveillance of Domino (Rachel Ward), one of Victor’s girls. As the days turns into weeks, Sharky falls in love with Domino, who doesn’t even know that she’s being watched. Sharky also discovers that Domino is sleeping with Hotckins (Earl Holliman), who is about to be elected governor of Georgia. 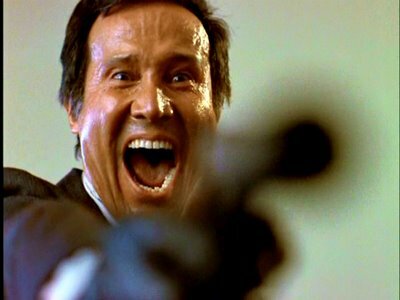 At the same time, a heroin-addicted assassin named Billy Score (Henry Silva) is assassinating anyone who could reveal Victor’s crimes. There are two great sequences in Sharky’s Machine. One is the opening credits scene, in which a bearded Burt Reynolds walks through the roughest parts of Atlanta while Randy Crawford sings Street Life. This scene lets everyone know from the start that this is not another Burt Reynolds good ol’ boy comedy. The other is a cat-and-mouse chase through an Atlanta skyscraper, as Sharky and his partners try to track down Billy Score, who is so doped up on painkillers that he barely flinches whenever he’s shot. Billy Score is one of the most frightening movie villains of all time, seemingly indestructible and capable of moving like a ghost. With the exception of maybe Deliverance, Sharky’s Machine is Burt Reynolds’s darkest movie. 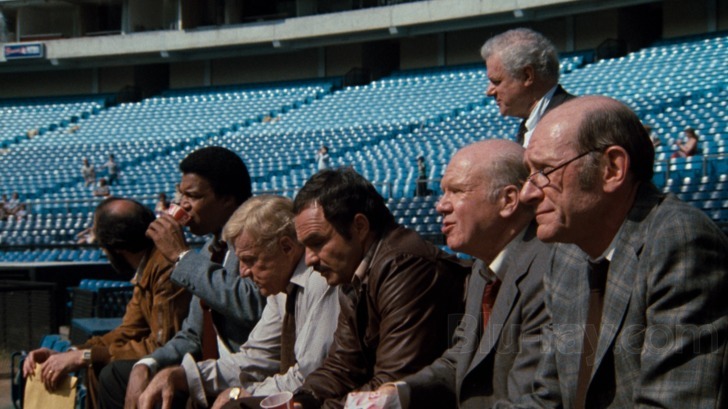 There are moments of humor and appearances by the usual members of the Burt Reynolds stock company, like John Fiedler and Charles Durning. But overall, this is one dark movie. Likable characters die. Sharky cries and loses two fingers when they are graphically chopped off by the bad guys. A woman’s face is literally blown off. Even when Sharky starts to talk about his childhood, a sentimental moment the occurred in almost every Burt Reynolds film, Domino tells him that she doesn’t care. In other words, this ain’t The Cannonball Run. Burt Reynolds’s first cut of Sharky’s Machine reportedly ran for 140 minutes. 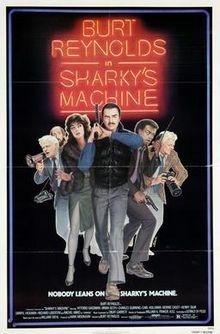 Twenty minutes were cut before it was released into theaters and, as a result, Sharky’s Machine sometimes seems to be rough around the edges. (One important supporting character is killed off-screen and if you don’t pay close attention to the dialogue, you might never know what happened to him.) Still, this violent film noir, which Reynolds once called “Dirty Harry in Atlanta,” is one of Burt’s best. This entry was posted in Film, Film Review and tagged Bernie Casey, Brian Keith, Burt Reynolds, Carol Locatell, Charles Durning, Darryl Hickman, Earl Holliman, Hari Rhodes, Henry Silva, John Fiedler, Joseph Mascolo, Movie A Day, Rachel Ward, Richard Libertini, Sharky's Machine, Vittorio Gassman. Bookmark the permalink. This was a great movie, and you’re right, Henry Silva is one scary dude!